Varun Akula is a Director at Hines in the firm’s Los Angeles office. Since joining Hines in 2008, Varun has been involved in the acquisition and management of approximately 8 million square feet of real estate valued at over $3.7B within Los Angeles, the Inland Empire, and Las Vegas. In 2015 Hines partnered with Oaktree Capital Management to purchase the 1,060,000 sf TriCity Corporate Center office portfolio in San Bernardino, CA. Varun oversees the asset management and leasing effort at TriCity Corporate Center. Since acquiring the asset Hines has invested capital to complete a comprehensive renovation program across the portfolio and leased over 135,000 sf to new tenancy. Varun is also involved in the firm’s development and entitlement activities. 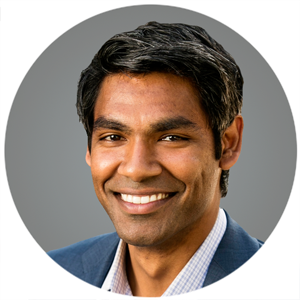 Varun has worked on the entitlement of a mixed use project in Santa Monica (The Pen Factory) and the acquisition of a multifamily development project in Pasadena (The Ellington). Varun earned his B.A from Harvard University.